I am severely lusting for Maarten van Severen's LCP Lounge Chair which is manufactured by Kartell. These chairs are crazy expensive. According to www.stardust.com from where I took the photos, these chairs retail for about 2000USD (on sale)! Hayyy. I want one!!!! 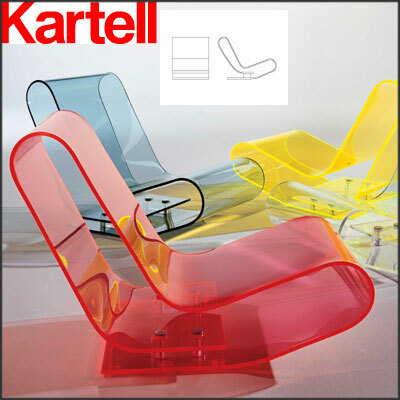 According to the Kartell website "The LCP is a lounge chair is formed from a single mould of clear acrylic plastic which folds back on itself in a spiral to create a radically innovative lounge chair. 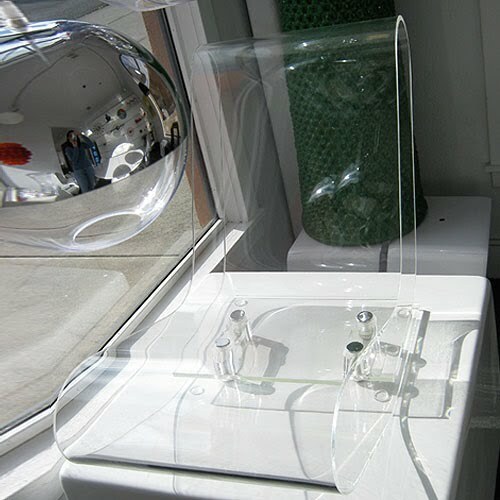 Only exclusive technology has allowed such flexibility, thus preserving the purity of the article’s shape. LCP is elastic, soft and resistant even if it exudes an intangible and evanescent quality."